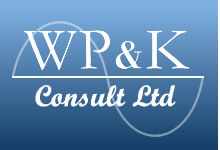 WP&K was formed in 1995 as a specialist power quality company, primarily to ensure that a poor quality mains supply did not have a detrimental effect on the operation of electronic equipment. Over the last 10 years there has been an increasing number of short term power cuts, and a tremendous increase in noise and transients being conducted down the power lines. Over 60% of unexplained epos and computer faults can be traced to mains power disturbances. We have now evolved into highly specialised company dealing with all aspects of power quality management. We supply UPS systems, generators and power factor correction to numerous Police Authorities, Betting Shops, Highstreet Opticians, Banks, Building Societies, Major IT Suppliers, Pub & Hospitality Chains and Retail Support Companies, to name just a few from our impressive client base. We also have a number of hotel chains, electrical contractors and consultants as our customers. This tiny UPS is rated at 600VA and will easily power several PCs, plus LCD screens during a power-cut. Providing 100% protection for your critical data. Measuring only 200mm x 77mm x 175mm. It comes complete with a 2 year warranty, free optional shutdown software, output lead and full instructions. Highly recommended for PCs, EPOS systems and small file servers. With our digital analyser that plugs into a standard 13 amp socket. After 5-7 days the analyser is sent back and we compile a detailed report that includes the level of electrical noise, transients, missed cycles, power sags/surges and outages.